It's simple to print the following Green In Spanish flashcard. This is a large study card version. A smaller version can be printed for free from the color flashcards link above. The large Green In Spanish flashcard is free too. All you have to do is right click on the picture and select print. Anybody can use this educational teaching resource freely; including school teachers, tutors, kids and beginners. This method of teaching is often very effective with younger children, toddlers and preschoolers. This is also a great way to introduce babies to simple words and easy vocabulary. Our set of color flashcards have bold, bright pictures to help make learning, or teaching, interesting and fun for kids. The pictures help children to engage in learning and give them something to relate the words to. As you can see from the card above, the words are written in English as well. This teaching resource is also suitable for teaching the English language to Spanish children. 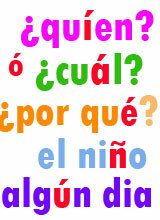 Printable Color Flashcards for Children and ideas for lesson planning and teaching Spanish and English languages. Spanish Picture cards with words for the color Green verde. Color Flashcards for kids and teachers - fun lessons and handouts for children to take home.